The Temple of Kukulkan (the Feathered Serpent God, also known as Quetzalcoatl) is the largest and most important ceremonial structure at Chichen Itza. 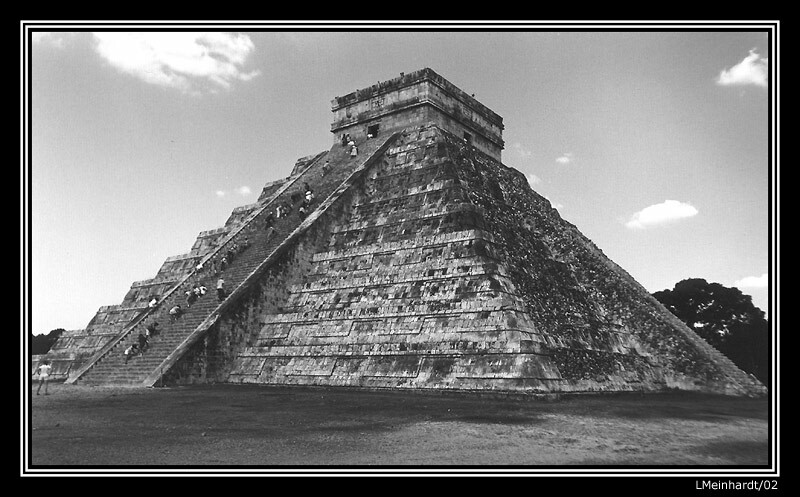 This ninety-foot tall pyramid was built during the eleventh to thirteenth centuries directly upon the multiple foundations of previous temples. The pyramid is a store-house of information on the Mayan calendar. Each face of the four-sided structure has a stairway with ninety-one steps, which together with the shared step of the platform at the top, add up to 365, the number of days in a year. On each face of the pyramid the central stairway divides the nine terraces into eighteen segments representing the eighteen months of the Mayan calendar. The pyramid is also directionally oriented to mark the solstices and equinoxes. Thank you for your story, Leandro.